I know, right?! It is so good and make some side guac to go along with it. Just heavenly! 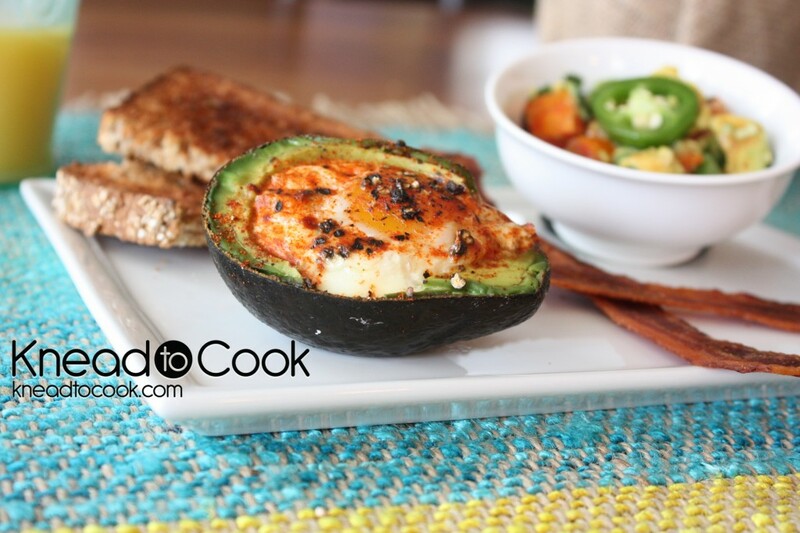 This looks like such a great combination…eggs and avocado…never tried this. Thanks for the idea. Can you cook it in the microwave? Wow, love this idea, often have avocado on toast for brekky, with an egg on top. Not any more, can’t wait to try this. Great idea! Can’t wait to try it out! Pallavi, It is sooooooo yummy! Saw this pic and immediately thought DELICIOUS! 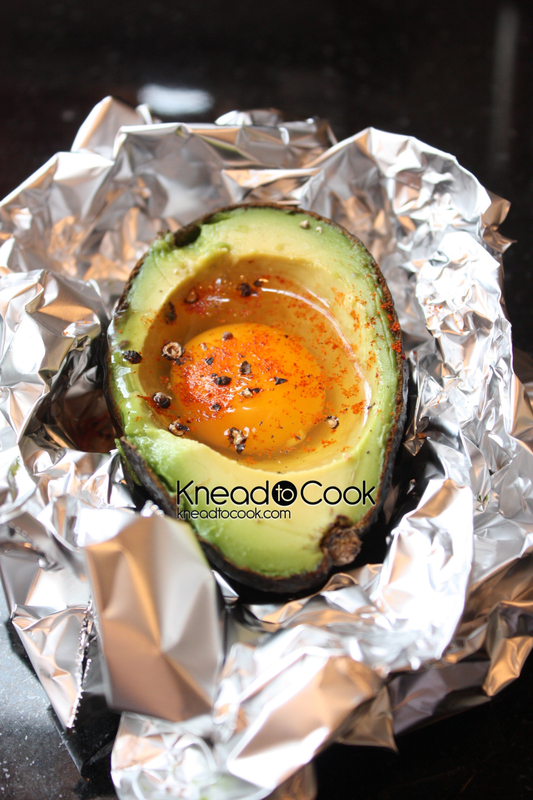 And thought of my husband since avocado is his favorite food and he eats a lot of eggs…then saw the recipe and read the bottom “wonderful post run recover” and that sealed it – I must make this for my husband! He is a runner and would LOVE this! Must try! Sounds like a really cool recipe! But for post-workout meals, you might want to avoid fats, they delay the processing/digestion of carbs/proteins and leave your muscles hungry for longer. This could make some awesome snacks though, I will have to try baking various other things in avocados. I’ve been distance running and eating this for years. Of course, I don’t eat a big meal post run but within the hour 🙂 Thanks for popping by! This looks wonderful. Too bad I forgot to buy avocados at the farmer’s market yesterday. It always takes ALOT longer than the recipes for this state. Egg doesn’t want to cook well. Anyone have any tips to get the egg whites to cook?